Dr. Daniel Hsu is both a licensed dentist and a licensed physician. He earned his dental degree from Columbia University’s College of Dental Medicine (graduating in the top 10% of his class), and received his medical degree from the College of Physicians and Surgeons at Columbia University. Dr. Hsu then completed his 6 year residency program in Oral and Maxillofacial Surgery at the prestigious New York Presbyterian Hospital/Columbia University Medical Center. New York Presbyterian Hospital ranks #1 in New York and among the top six in the US out of nearly 5,000 hospitals evaluated by US News and World Report. Dr. Hsu is a Diplomate of the American Board of Oral and Maxillofacial Surgery. He was selected as an Orange Coast Magazine "Top Dentist" as chosen by his peers. He has won other awards including the "Patients Choice Award" from Vitals, "Top Doctor" from the Consumers Research Council of America, and "Patients Choice Award" from Opencare.com. 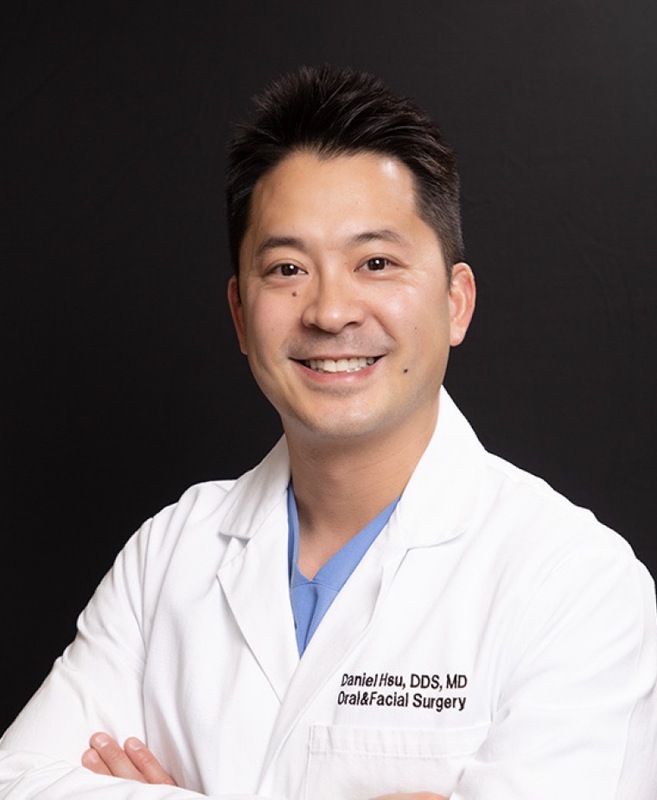 Dr. Hsu received extensive training in dental implant surgery, bone grafting procedures, dentoalveolar surgery, orthognatic/corrective jaw surgery, oral pathology, trauma, and cosmetic facial injectables (Botox/Juvederm). Dr. Hsu is a Nobel Biocare Diamond partner, the highest achievement awarded to only a select few dentists who place among the largest volume of dental implants. After completion of his residency program, Dr. Hsu served as Assistant Clinical Professor at Columbia University, where he oversaw the instruction of students and supervised residents during oral and maxillofacial surgical procedures. Dr. Hsu worked in an oral surgery practice in New York City before relocating to Orange County. Afterwards, he worked in a busy group oral surgery practice in Los Angeles prior to opening up his own practice in Irvine, California. Dr. Hsu has lectured both locally and nationally on various topics such as: advanced bone grafting, esthetic dental implant placement, CAD/CAM Custom Abutments, the All on 4 procedure, and minimally invasive wisdom teeth extractions. He has also actively participated in local and international outreach programs in Los Angeles, Jamaica and the Dominican Republic. In addition to soaking up the Southern California sunshine, Dr. Hsu enjoys film, hiking coastal trails, mountain biking, cooking, fitness and spending time with his family.